Graduation from an accredited high school or equivalent. Five (5) years experience in routing, design, and construction of an electric utility's transmission system, or in a field related to the job. This position will report to the Program Manager, Infrastructure Asset Management and Leasing. This position may lead and coordinate the application process (including the field inspections) for 3rd party pole attachment applications, make ready design functions, the NJUNS pole transfer process, customer escalations issues related to pole attachments, coordinate and/or perform substation escorts, coordinate the application process for cell tower attachments. This position is not eligible for work-related visa sponsorship. Candidates must be currently authorized to work in the United States without employer sponsorship. Constant (67-100% of Day): Reaching forward and overhead, balancing, and repetitive movement and controls with arms and hands. Frequent (34-66% of Day): Standing, walking short distances on uneven ground, climbing stairs, and bending / twisting. Must be able to lift up to 50lbs., carry up to 30 lbs., push and pull up to 50 lbs. when necessary. Frequently (4-6 hours a day) performs inspections or escorts where standing is required. Utilizes various computer programs to process pole attachment applications. Frequently (4-6 hours a day) performs inspections where the use of a 45-50 foot fiberglass measuring stick is required and may require reaching to control the stick and opening and closing gates. Occasionally (such as checking the condition of a pole or guy wire). Frequently performs inspections or escorts in the field as required which include looking up for an extended amount of time and repeatedly entering/exiting the truck as job site changes require and opening and closing gates. Typing and extending/retracting the fiberglass measuring stick and looking up for an extended amount of time. Frequently may need to drive to site to perform inspections or escorts. Must be able to work in extreme temperatures and conditions as this is a field position. Needs to be alert, responsive and agile to ensure physical safety to include wearing personal protective equipment and operate light equipment. Additional hours outside of this schedule may be required. 1. Experience with design, operation and maintenance requirements working with or for electric utility distribution system following design construction manual and standards. 2. Experience with 3rd party pole attachments, communication company engineering firms, and communication company contractors. 3. Experience handling multiple projects within telecomm or electric utility distribution industries. 4. Experience with mapping software, GIS, (Electric Office or GoSync) or similar software. 5. Experience with Microsoft Office products (Excel, Word, Access), Smartsheets, or similar software. 6. Experience working with Construction Standards and design criteria or like manuals. 7. Experience working as a lead overseeing work assignments, training, and evaluations. Coordinates and reviews work practices, develop designs and analyze GIS systems and makes recommendations for operations in the distribution construction process. 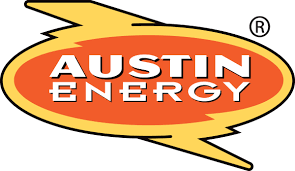 Provides direct oversight of construction and maintenance activities performed by Austin Energy personnel and contracted staff by reviewing work requests, determining appropriate personnel to complete assigned projects and monitoring the completion and if necessary, perform work assigned. Establishes and maintains a customer perspective for all services provided to in-house clients by providing updates, reports, presentations and documentation as requested. Meets deadlines and quality expectations in a cost effective manner by monitors project budget and track expenditures, personnel and materials are available to met work orders. Alerts supervision to any deviations from the approved cost projections. Provide assistance in reviewing and updating policies and procedures of assigned area. Monitor any changes to construction or systems changes in the industry to ensure best practices are applied.